A small business or nonprofit gets what appears to be an invoice for a listing in an online yellow pages directory. On the face of it, it looks legit. It includes the name of an employee at the office, a copy of what the listing looks like, the “walking fingers” symbol associated with directories – and a demand for the $486.95 the business or nonprofit supposedly owes for the listing. What’s really going on? 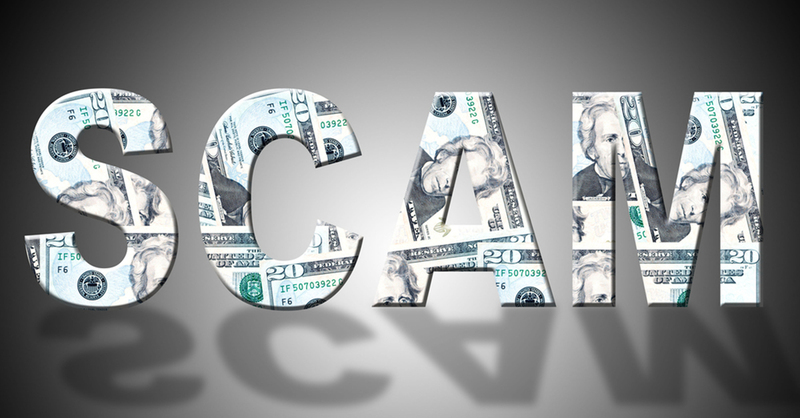 As an FTC case against Canadian scammers suggests, chances are it’s a fraud targeting small businesses, doctors’ offices, retirement homes, churches, etc. And your company or community group could be at risk. Earlier this year, the FTC sued Ivan Chernev, German Lebedev, American Yellow Corporation, and a host of Montreal-based entities for pulling a fast one on smaller offices. It was bad enough that they billed the businesses and nonprofits for unauthorized listings. But when the companies that got the phony invoices dared to fight back, the FTC says the defendants turned up the heat. Recipients who ignored the bogus bills were sent collection warnings demanding payment of more than $2,000. When they refused to knuckle under, the defendants masqueraded as third-party debt collectors. In March 2015, the court halted the operation and froze the defendants’ assets pending litigation. The defendants didn’t respond, so the court entered a default judgment. That order requires the defendants to pay more than $1.2 million and bans them for life from the directory business. In an unrelated action, the FTC obtained a contempt ruling against defendants who used similar tactics against small businesses, religious schools, and other small offices – and then violated a court order to stop. In 2014, the FTC charged Robert Ray Law and his company with using bogus invoices to trick offices into paying for unordered online business directory listings. Among other things, the final order in that case banned them from the business. According to the FTC, Law created a new company to run a similar scam, this time faxing fake invoices to nearly 150,000 small businesses seeking payment for online computer support and consulting. The modified order in that case imposes a judgment for the full amount of money taken from businesses. The FTC works with a united front of state, federal, and international fraud fighters to curtail this kind of con. What can you do to help protect your company and your community? Take five minutes to educate your staff. Fraudsters tend to target busy offices that don’t have central purchasing systems or full-time receptionists – so think big. Alert your employees at a staff meeting. Include a warning in an email or newsletter to volunteers. Post a caution in your break room. Put a note near the phone where your central number rings. Even if your office isn’t big enough for a formal procurement process, assign one staffer as the go-to person for periodic purchases like directory listings or office supplies. Calls asking to “confirm an existing order” should go to them, too. In addition to foiling fraudsters, it just might help keep your expenses in check. Distribute them at your next industry event. Leave a copy in the office at your place of worship or community center. Bring one along next time you have a doctor’s or dentist’s appointment. Visiting a relative at a nursing home or retirement community? Give a copy to a staff member. Spread the word on your website, through your social networks, and through industry and community newsletters and listservs. 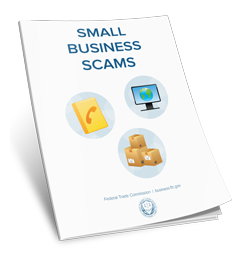 Suspicious about a possible small business scam? Report it to the FTC. If you’re getting pressured to pony up for an unauthorized purchase, don’t pay, but do let us know about it by filing a complaint with the FTC. The above is an excerpt adapted from the article, “Spotting The Signs of a B2B Scam.” For more information, please visit www.sba.gov.